A consortium of partners with Ashoka Africa, LeFil Consulting and VC4A stand together in leveraging the potential of Social Entrepreneurs to increase impact, sustainability and innovation in the African North, East and South Region. The SDC as the investor partner aims to contribute to poverty reduction in Southern, Eastern and Northern Africa by improving youth employment and employability, improve income and livelihood for families living in rural areas and small towns/villages, as well as improving access to food, healthcare, water and sanitation for populations living in these regions. These partners are calling for established social entrepreneurs/enterprises in South, East or North Africa to submit applications to be part of this project. • Applications open on 8 March 2018 and close on date is on 21 May 2018. • Applications must be completed online, click here to complete your application form. • The Consortium of partners with LeFil, VC4A and Ashoka seek the best ideas to accelerate and replicate innovations and sustainable models of social enterprises that have impact across South, East or North Africa. Finalists will participate in a two-day bootcamp in September 2018 in South Africa during which the first 4 modules of the toolkit will be addressed with all the social entrepreneurs, mentors, and experts. 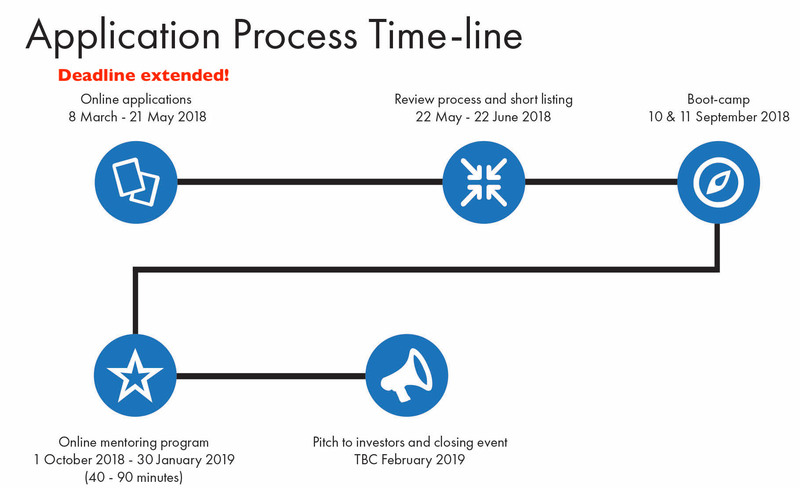 The opportunity to pitch their business case to a panel of social impact investors during the closing event in February 2019.